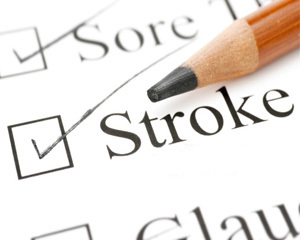 Stroke is a disease caused by a disturbance of blood flow to the brain. It can affect any people but is more common in male and mainly on those aged over 55. People with blood type AB are also at higher risk of stroke, a new research suggests. Co-senior author Dr. Joann Manson, Professor of Epidemiology at the Harvard School of Public Health and Chief of the Division of Preventive Medicine at Harvard’s Brigham and Women’s Hospital examined the link between human blood groups ABO (blood types A, B, AB, and O) and stroke risk. In the Dr. Manson’s study, which involving more than 90,000 men and women for 20 years found that blood type B was associated with 17 percent increased risk of stroke in women, but not in men. While blood type AB was associated with 28 percent increased risk of ischemic stroke in women and 32 percent increased risk of the the stroke in men. When compared the blood type AB with blood type O, people with blood type AB are at higher risk of getting a stroke than those with other blood type. The differences reflect differences in blood group glycoprotein on the surface of red blood cells, which in turn, affects how the immune system develops. Dr. Manson suggests that these differences in blood types may affect the stiffness of red blood cells so that some types of blood form clots more easily, as quoted from medicalnewstoday. “Although a person’s blood type can’t be changed, but knowing this information may help identify the risk of stroke,” said the researcher. “People with the higher risk blood types have their other risk factors assessed so they know their overall risk profile, and furthermore they may follow healthy lifestyle recommendations through an intensive exercise and healthy diet. Dr. Manson explained that the link between blood type AB and the risk of stroke are not at the level that should alarm people, but it could be one reason for them to always keep blood pressure and cholesterol levels in check.